July 19th in Wordpress Plugins by Wordpress Jedi . 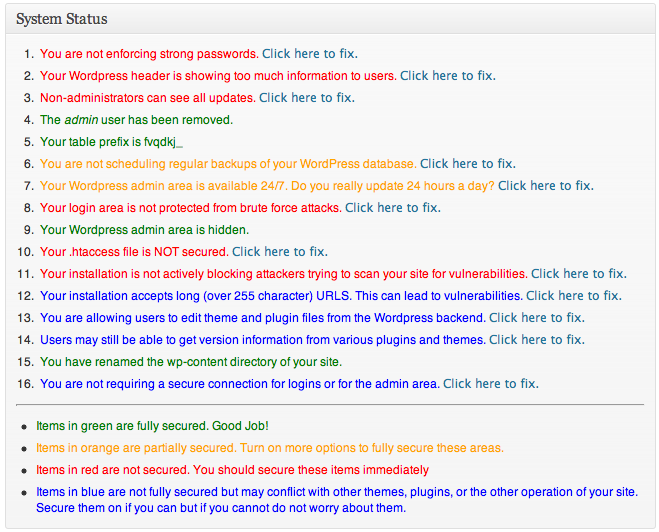 Better WP Security: makes securing WordPress easier. It tells you some of the steps you should be taking to keep your website secure. This does a whole lot more though. It is one of the best security plugins for WordPress. Theme Check: it tests your theme against the latest WordPress standards and practices. 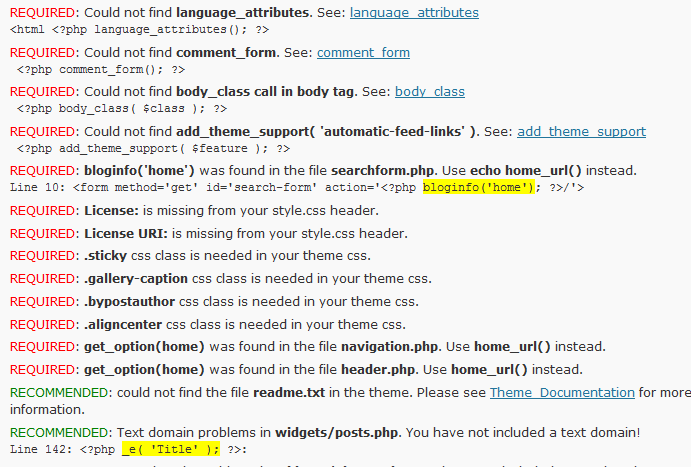 This is a very useful tool for theme developers too. Blogging Checklist: it lets you create a blogging checklist for your site. 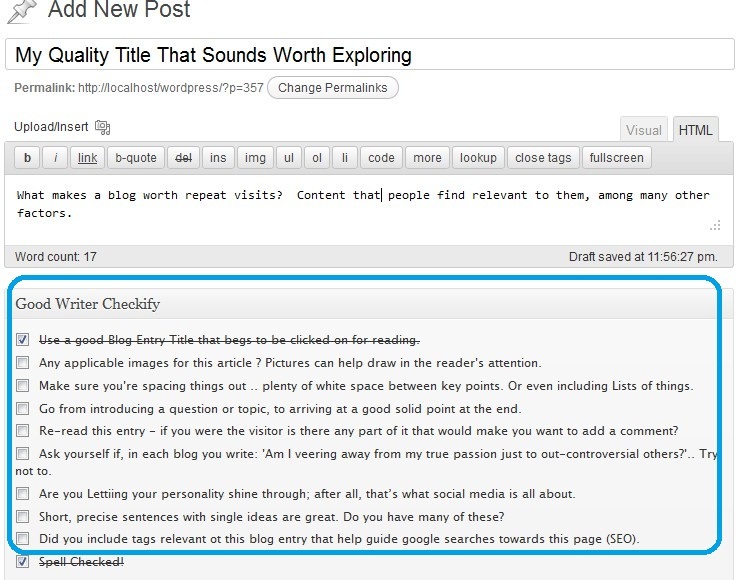 Blogging Checklist makes your list visible to all authors on the Edit Post page. Good Writer Checkify: want to become a better blogger? There are plenty of blogs that provide you with tips on that. This plugin has a checklist that helps you out with that. 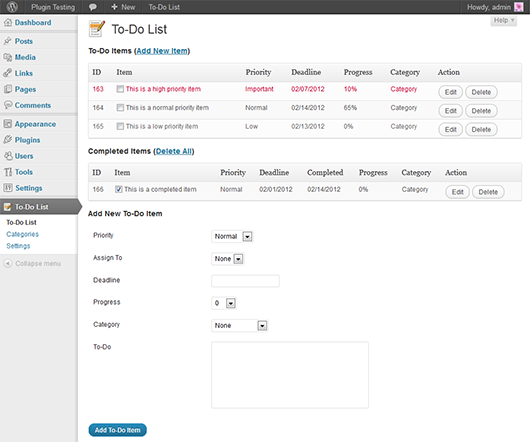 Cleverness To-Do List: it provides users with a to-do list feature. Webmasters can use this to add private to-do list features for users. You can also maintain a master list. A pretty useful plugin for growing communities. These plugins let you blog more effectively, keep your website secure and maintain your own checklists. They are more than capable of making you more productive.